Seven Questions To Ask A Houston Divorce Lawyer | Lindamood & Robinson, P.C. Getting divorced can be a stressful and overwhelming experience for many people. This is perfectly understandable since a major component of your life is now thrown into chaos and you may need to chart a new path for your future. 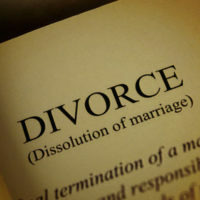 This is why it is so important to contact an experienced Houston divorce lawyer to discuss your situation and see whether it makes sense to move forward. Below is a series of question you should consider asking during your first meeting with a lawyer. Will I have to testify in front of a jury? The prospect of going to court and being subjected to cross-examination is quite daunting. Fortunately, a large percentage of divorce cases wind up getting resolved through mediation or negotiated settlement. Of course, if an agreement cannot be reached, your divorce lawyer should be ready and able to take the case to trial. What are your billing rates and how will I be charged? It is important to talk about case costs upfront. You want to be sure you can afford the lawyer and the lawyer wants to be sure you are able to pay their legal fees. You should also ask about fee structures, an estimated number of hours the case could take to get resolved, whether you’ll be charged for the time spent on phone calls and e-mails, etc. Roughly how long will my divorce to be finalized? This is an important question so you get an idea of your time horizon. But be forewarned: every case is different so the amount of time estimated by your lawyer is subject to change. How much experience do you have in dealing with divorce cases? Do not hesitate to ask this question. You want an experienced advocate on your side who knows how to litigate a divorce case. Can you explain to me in simple terms how the divorce process works in Texas? This is a good question to ask because it gives you an idea of what to expect going forward and what you should be preparing for in the future. Should I cut off communication with my spouse? Honestly, there is no strict rule on this. It mainly depends on the dynamics of your relationship with your spouse. If you both approach the divorce rationally and are seeking an efficient resolution, maintaining communication makes sense. If, on the other hand, you and your spouse are at each other’s throats, it may make sense to halt communications until the divorce is finalized. How should I manage my finances while the divorce is being finalized? This is an important question to ask because you need to be prepared to have your finances in order during the course of litigation and you need to be sure you can safely access funds to cover your living expenses while the divorce is being worked on. A good tip is to open a separate bank account and deposit funds into that account that only you can access. The Houston divorce lawyers of Lindamood & Robinson, P.C. are ready to help you during this difficult time. Our lawyers possess over three decades of complex litigation and mediation experience. Contact our office today to learn more.